With your help, area non-profits like Nurturing Hearts to receive matching gifts today only. Positive things are happening in Erie. I recently sat down with Shawnte Pulliam to talk about Nurturing Hearts, the nonprofit she founded that gives girls of Erie opportunities they deserve – the confidence and direction needed to reach maximum potential. That's great! You know what; I'm going to make a donation to Nurturing Hearts. What's that you say? If I make a donation today, the Erie Community Foundation will match it? The positive mill just keeps on flowing. 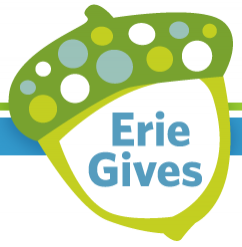 Today is Erie Gives Day. From 8 a.m. to 8 p.m. today, Aug. 14, you can donate to one of more than 250 eligible nonprofits affiliated with the Erie Community Foundation. Nurturing Hearts is just one organization that will share $76,000 the ECF will be giving in matching donations. GE is chipping in an additional $25,000 for Erie Gives Day. All you have to do is go to eriegivesday.org and donate a minimum amount of $25. I'm donating to Nurturing Hearts because I'm all for strong, intelligent women raising the youth of Erie. But this isn't the only nonprofit worth my support, or any of ours. Do your (minimum of one) good deed today and invest in our community for Erie Gives Day.